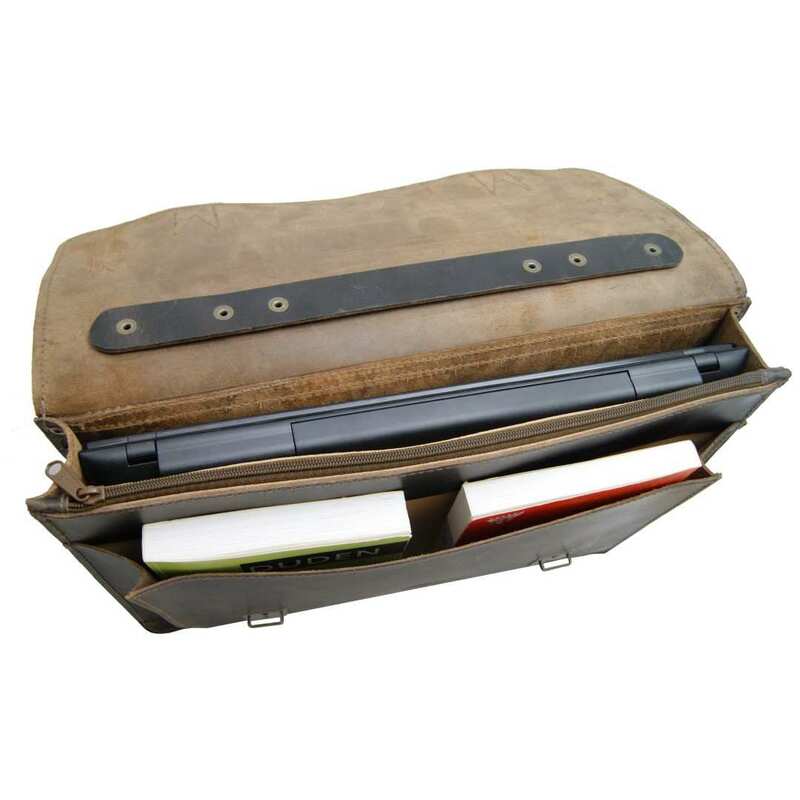 Product information "17.3 in laptop bag PYTHAGORAS brown leather"
The laptop bag PYTHAGORAS made of brown organic leather is a fantastic 17.3 inches shoulder bag with much room that convinces with its natural and organic processing. If you don't go for the XL dimensions yet, soon you will. This top model made of saddle brown ORGANIC bovine leather is well built and at the same time, so light that you can carry it on a single shoulder. 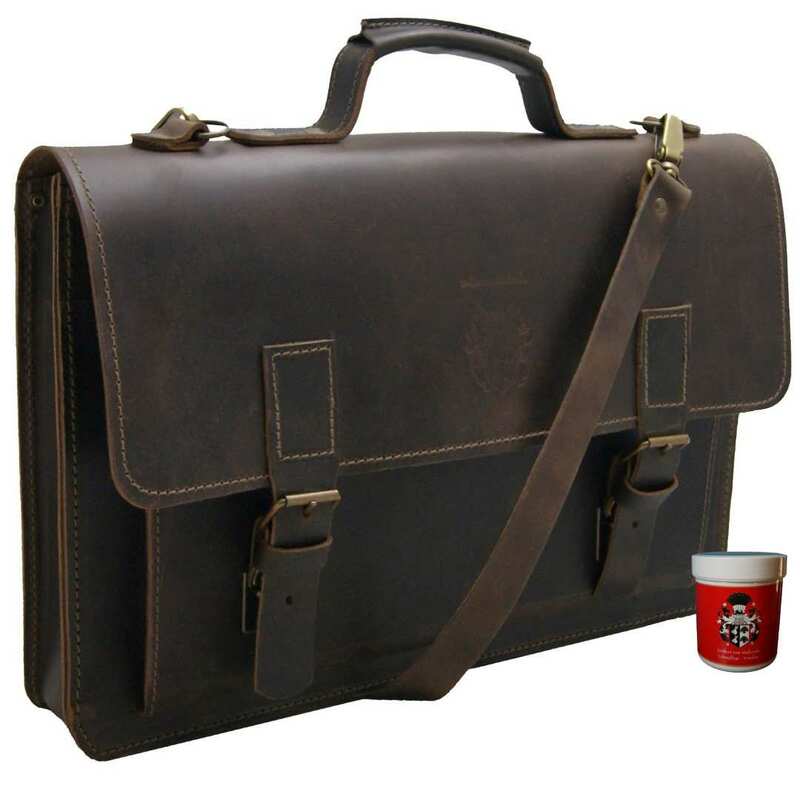 This laptop bag in vintage-style does not only look marvelous, but also offers enough room for a 17.3 inch laptop. In the attached front pocket a wallet, house keys and notepad or alternatively a power supply pack for your laptop fit into. The zippered compartment offers room for private and important papers. 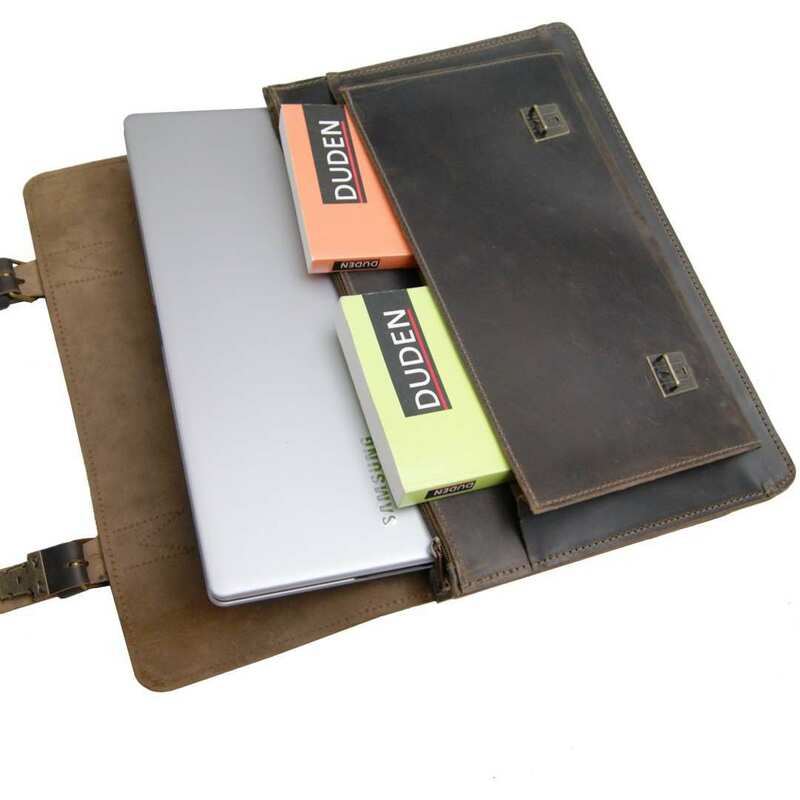 The laptop bag PYTHAGORAS has been handcrafted with the best organic unadulterated leather. This gives every bag an individual appearance. Like all pieces of the Collection BARON of MALTZAHN, this shoulder bag is a very personal piece that does not look like another. The image of the laptop bag PYTHAGORAS made of brown organic leather is rounded up by some metallic padlocks in vintage-look. 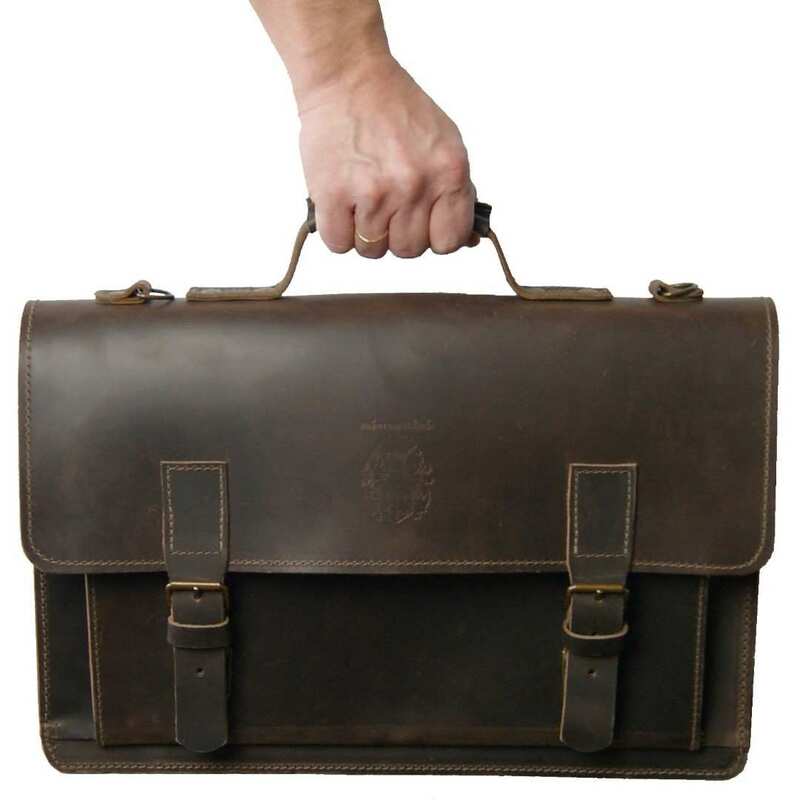 The appropriate tear-proof 51.2 in (130 cm) shoulder strap facilitates the carrying of the briefcase and is individually adjustable according to your preferred size. 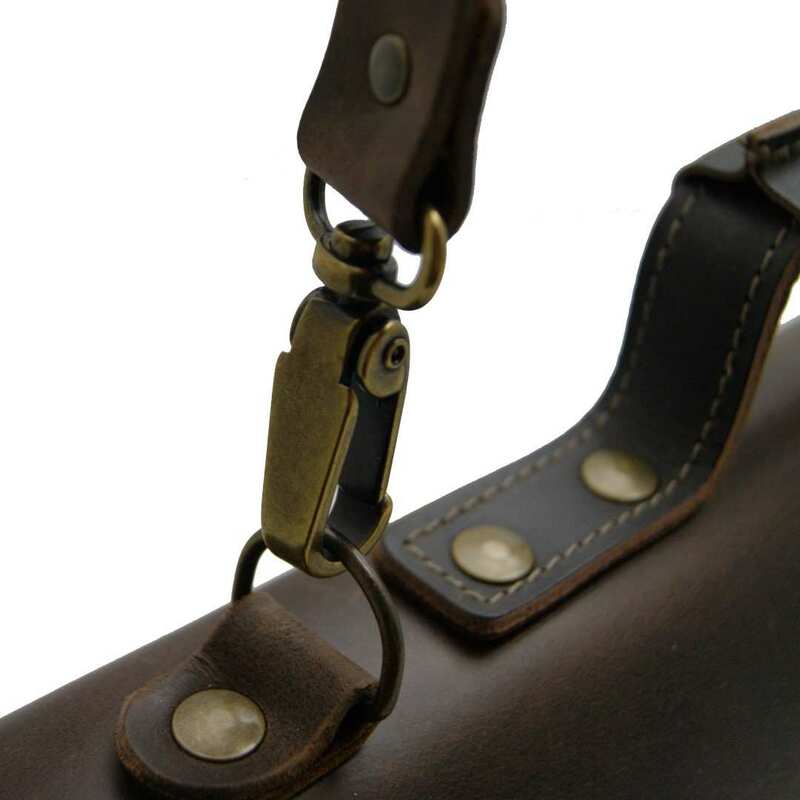 If required, the strap can be removed with just a few simple movements. To avoid scuffed suits, a soft shoulder pad is included in the delivery. The total size of the laptop bag PYTHAGORAS is 17.7 x 11.8 x 3.5 in (45x30x9 cm). This is an article of the fine and noble Collection BARON of MALTZAHN, a lovingly handcrafted product designed in Saxony (Germany) for a long lasting life. Order your robust companion for the daily life now! 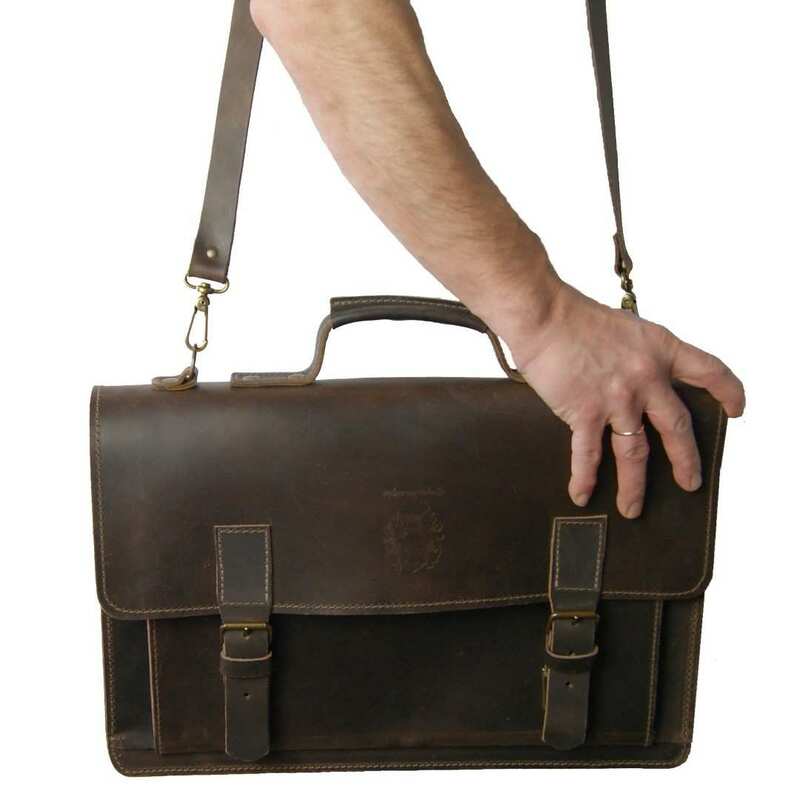 Reviews for "17.3 in laptop bag PYTHAGORAS brown leather"